The university both has courses in pure technical studies such as Mechanical Engineering, Electrical Engineering and Chemical Engineering, but also courses in Communication, Psychology, Economical Sciences, Business, Public Administration, Applied Medicine and Biomedical Technology which attracts a broader public. Since 2006, the programme of European Studies has been added to the university's programme. Enschede is also home to one of the three campuses of Saxion University (Saxion Hogeschool Enschede), a polytechnical school offering internationally recognized Bachelors and Masters degrees in a wide range of fields including engineering, economics and health care. 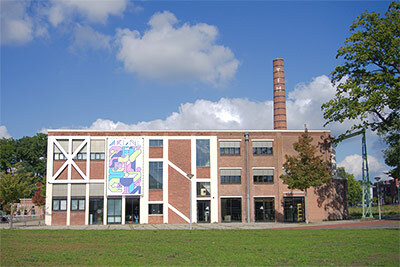 The other campuses are located in Deventer and Apeldoorn. 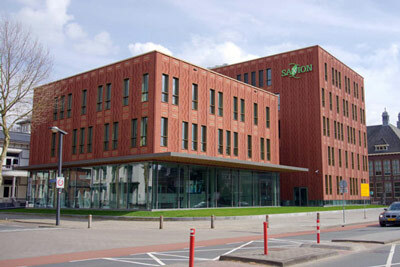 One of the new Saxion buildings in the city. The AKI is the smallest academy in the Netherlands, established in the 1960s and still dedicated to its founding principles: providing an individualised education with a minimum of structures and control systems and focused, instead, on the human dimension and students' and instructors' own initiatives. AKI is part of the ArtEZ Institute of the Arts, but it also greatly values its autonomy as a small academy. Education is created on the work floor.